Just like any good suit each individual piece is important to the over-all success of the completed outfit! So it can be with prayer; in particular a devotion to The Divine Mercy, as taught to us by Jesus through St. Faustian Kowalska of Poland. Saint Maria Faustina Kowalska, known today the world over as the “Apostle of the Divine Mercy,” is numbered by theologians among the outstanding mystics of the Church. To this simple, uneducated, but courageous woman religious, who trusted Him without limit, Our Lord Jesus consigned the great mission to proclaim His message of mercy directed to the whole world: “Today,” He told her, “I am sending you with My mercy to the people of the whole world. 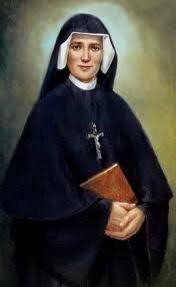 I do not want to punish aching mankind, but I desire to heal it, pressing it to My merciful Heart” (Diary, 1588). You are the secretary of My mercy; I have chosen you for that office in this and the next life” (Diary, 1605) …… “to make known to souls the great mercy that I have for them, and to exhort them to trust in the bottomless depth of My mercy” (Diary, 1567). To profit from the great gifts received by honoring the devotion to The Divine Mercy we must fulfill the conditions of the Divine Mercy devotion: trust in God’s goodness and active love toward neighbor. This three-piece series will address 3 primary aspects of The Divine Mercy Devotion, which I will outline for the next 3 Wednesdays! By the end you will have a fabulous new spiritual “suit of honor” to wear forever, just as St. Paul instructed the Collassians to wear! 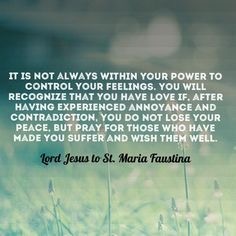 This Chaplet was dictated to St. Faustina by the Lord Jesus Himself in Vilnius on September 13-14, 1935, as a prayer of atonement and for the appeasement of God‟s wrath (see Diary, 474-476). Those who recite this Chaplet offer to god the Father “the Body and Blood, Soul and Divinity,” of Jesus Christ in atonement for their sins, the sins of their loved ones, and those of the entire world. By uniting themselves with the sacrifice of Jesus, they appeal to the great love that our Heavenly Father has for His Son and, in Him, for all humanity. By means of this prayer, the petitioners request “mercy on us and on the whole world,” and by so doing, they perform a work of mercy. If the faithful add to this the foundation of trust and fulfill the conditions regarding every good prayer (humility, perseverance, matters in conformity with God’s will), they can expect the fulfillment of Christ’s promises which are particularly related to the hour of death: the grace of conversion and a peaceful death. 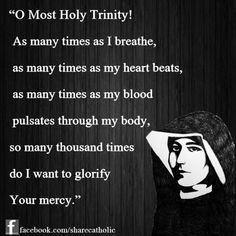 Not only will the people who say the Chaplet receive these graces, but also the dying at whose side others will recite this prayer. The Lord said: “When this chaplet is said by the bedside of a dying person, God’s anger is placated, unfathomable mercy envelops the soul” (Diary, 811). The general promise says: “It pleases Me to grant everything they ask of Me by saying the chaplet” (Diary 1541) “….if what you ask for is compatible with My will” (Diary, 1731). For, anything that is not compatible with God’s will is not good for people, especially for their eternal happiness. On a different occasion, Jesus said: “ by saying the Chaplet, you are bringing humankind closer to Me” (Diary, 929), and again: “The souls that say this chaplet will be embraced by My mercy during their lifetime and especially at the hour of their death” (Diary, 754).